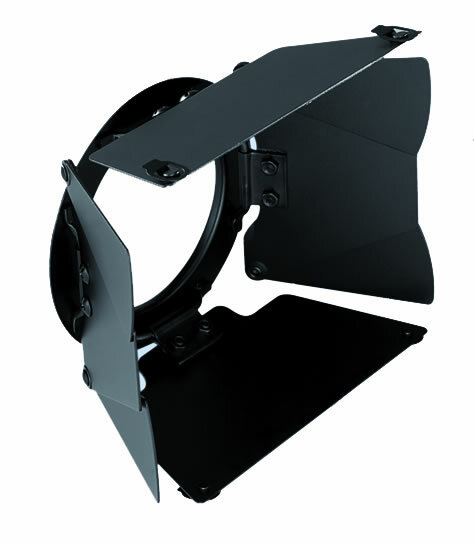 Dedolight DBD8 – professional qualkity 8-leaf barndoor to fit DLH4 luminaires. Precise beam control is achievable using this essential accessory. 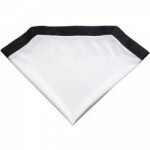 8 leaves allow finer control and allow you to cut and control spill much more accurately. Integral filter clips allow filter to be used on the front of the barndoor set prolonging its’ life compared to use in filter holder. Sturdy construction means leaves stay where they are placed unlike some cheaper barndoors.